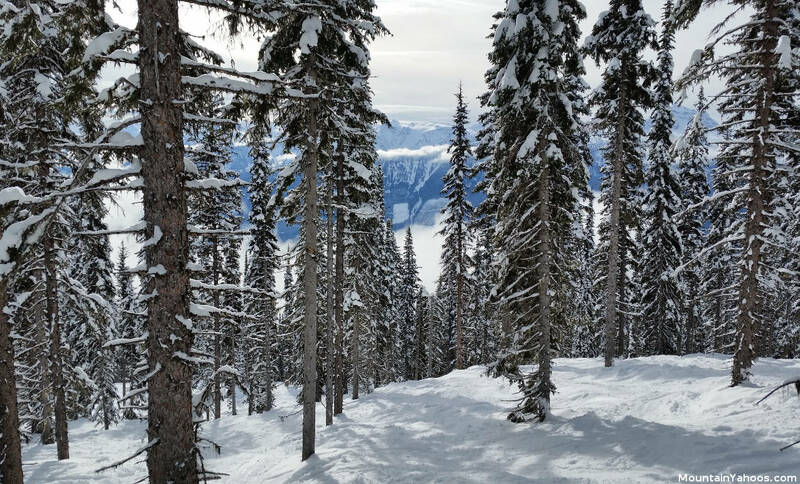 Revelstoke is one of North America's newest ski resort destinations which opened in 2007 with its location chosen for the advanced terrain, high annual snowfall as well as the Northern latitude to mitigate the eventual effects of long term climate change. 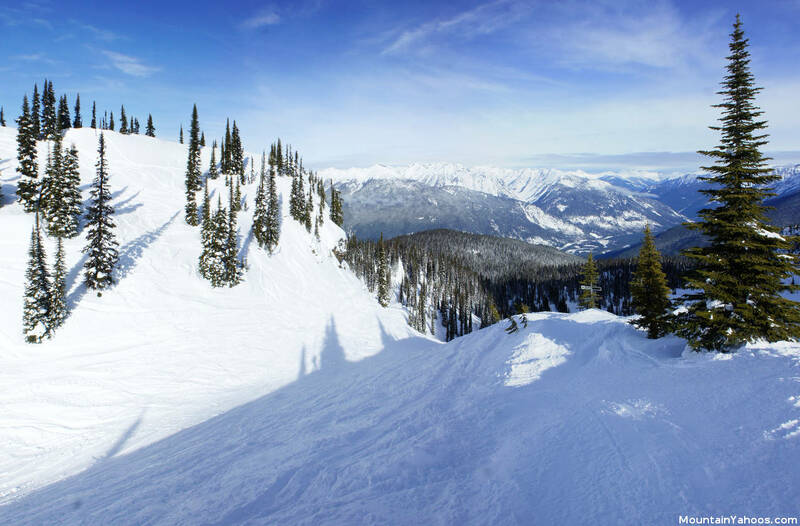 The Canadian Rockies are rugged with many mountain peaks in close proximity making the views from almost anywhere at Revelstoke Mountain Resort, very scenic and beautiful. Revelstoke is located five hours West of Calgary Alberta Canada just outside of the town of Revelstoke British Columbia. It is a much longer drive of seven hours from Vancouver. 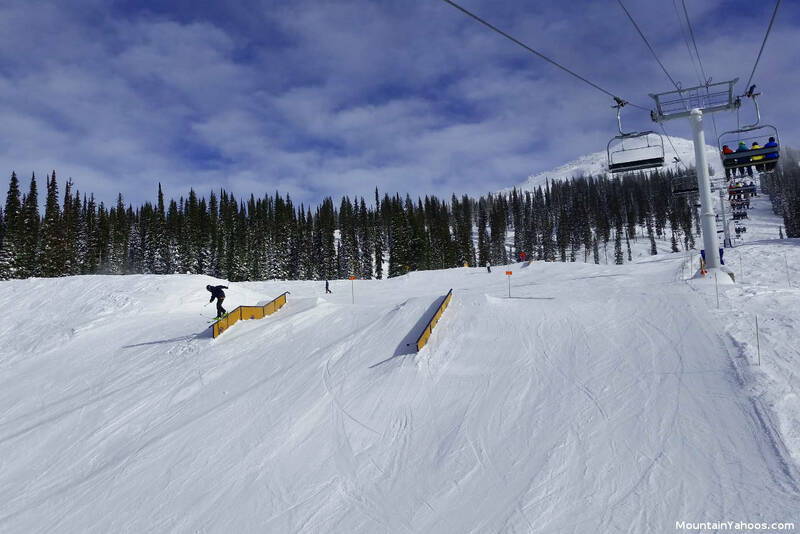 Revelstoke is clearly remote, limiting the crowds to the ski enthusiast, but in no way does it lack the facilities associated with a major resort. 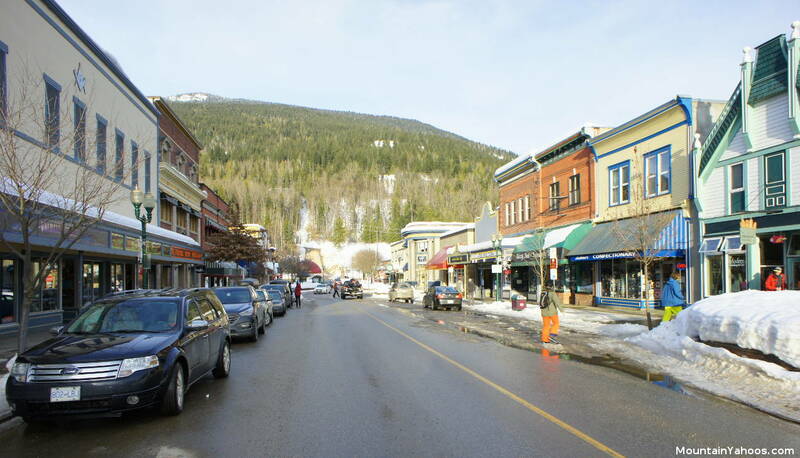 Modern lodging, rental shops and dining establishments are all available at the base of the mountain and in the town of Revelstoke. Visitors from the US or other foreign countries must remember that a passport is required for entry into Canada by air or by land. A visa is not required for Americans or Europeans (Canadian visa details). A driver's license or any other form of ID will not get you through. Your passport will also be required to return. Revelstoke has been making a name for itself among advanced free mountain skiers and this reputation scares away beginners, as it should. There is very little terrain for the beginner. Most green trails are cat walks connecting the mountain and would not be fun for the beginner as they are choke points with skiers blasting past at a fast rate of speed trying to get to the next trail or to better powder. 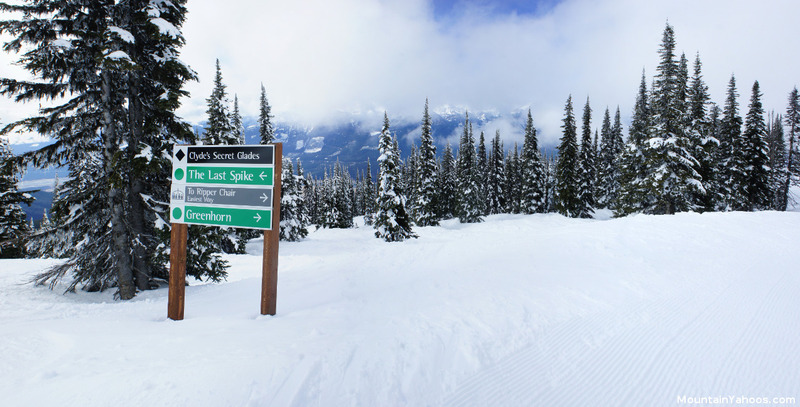 Even intermediate skiers may find Revelstoke problematic as some blue trails may eventually branch to a choice of two black diamond trails. An advanced intermediate skill level would be the minimum entry level of skill for this mountain. There is plenty of terrain marked for all skill levels but advanced skiers will definitely have the biggest grins. It is awesome. Black (advanced) and Double Black (extreme) runs are everywhere and in such a broad variety that this mountain is indeed an adventure. 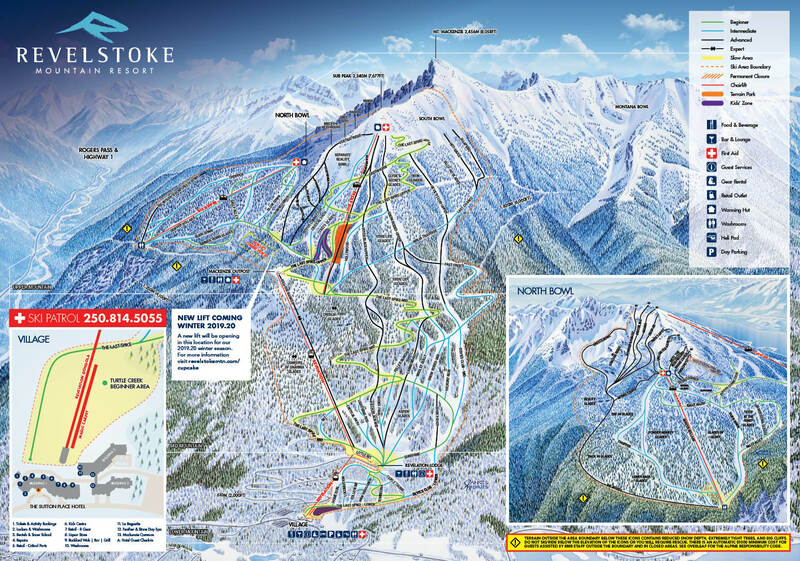 The 3,121 acres of terrain at Revelstoke ski resort is accessed by only three primary lifts. To access many of the advanced upper terrain one will have some traversing or a short but worthwhile hike. 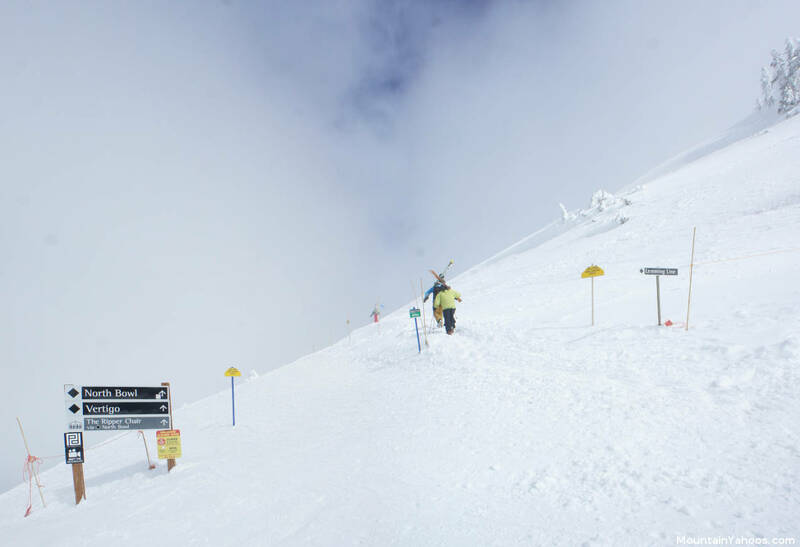 The locations of the three main lifts is such that many of the advanced upper runs do not feed back to the lift which brought you there forcing one to explore more of the mountain than you might have otherwise expected. It's great for those with a sense of adventure. Revelstoke brags about having the largest vertical (5,680ft or 1,713m) of any mountain in North America but it should be noted that the lowest section serviced by the Revelation gondola is not typically skied until the end of the day, to return to the base. Revelstoke has a single peak (Mt. Mackenzie) which segregates the terrain into two upper bowls: North (backside) and South bowl (resort front-side). South Bowl of course gets more sunlight often changing the snow consistency from light powder to a more compact snow while North Bowl retains the powder and is home to more advanced terrain. Revelstoke patrol seeks to mark all cliffs and obstacles but given its vast size, this is an impossible task. Thus we would like to issue a warning to all who ski here, pay attention to the terrain. There are a lot of cliffs of all sizes. This warning becomes more emphatic for those in the trees where there are more marking omissions. It's almost as if Revelstoke has added a new level to the ranking of runs: green, blue, black, double black and orange (cliffs). Revelstoke is kind to the novice if and only if they stay at the lower part of the mountain and never venture past the first stop on the Revelation gondola or ride the magic carpet lift. 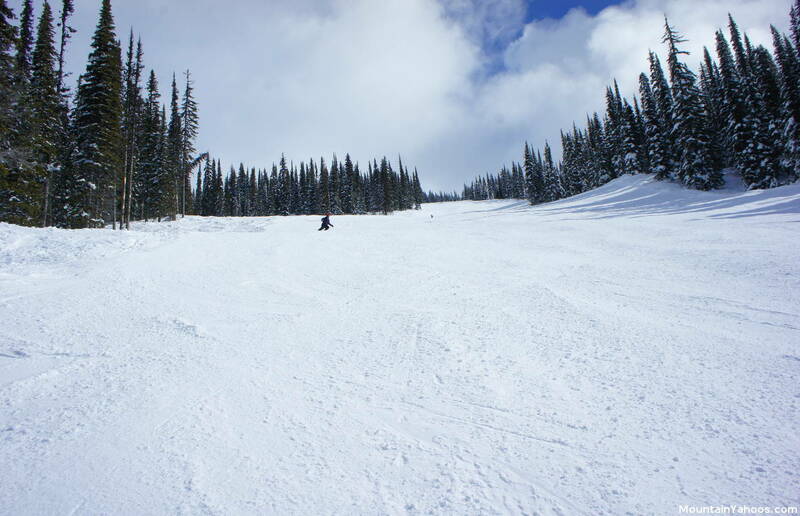 These runs are well marked and are groomed nightly and well maintained. The longest trail on the mountain is the green run "The Last Spike" which is over nine miles long running the length of two lifts, the "Revelation" gondola and upper "Stoke" chair lift. The run returns you back to the base of the lift making the journey predictable. The intermediate "blue" runs are scattered around the mountain. All lifts on the front side have at least a "green" beginner run down the mountain, returning you to the base but these are typically narrow cat walk trails with merging runs and skiers traveling at high speeds. They are not suited to beginners learning to ski but more for connecting trails or for tired skiers returning to the base at the end of the day. 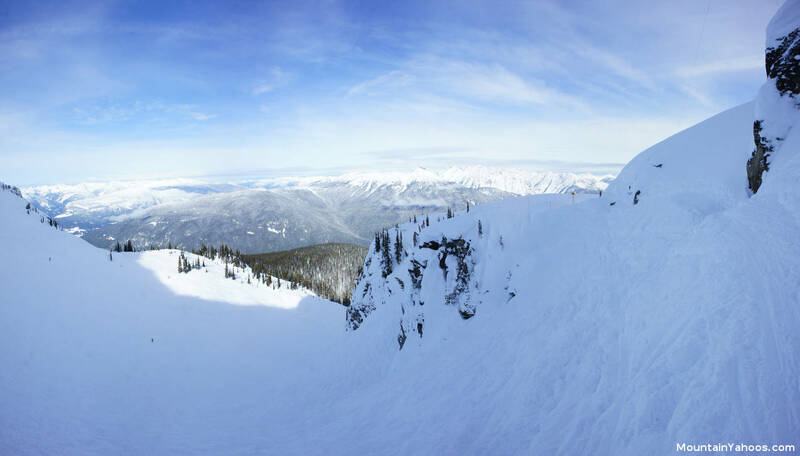 Revelstoke was conceived as a dream resort for the advanced skier. The runs in the upper North Bowl and multitude of glades throughout the mountain make it a playground for the advanced skier. North Bowl: note that you can continue the traverse around the corner to Greely Bowl. North Bowl: Uro (not listed on trail map). Be careful and beware of unmarked cliffs. Also beware of who you are following as they may be looking to jump a cliff. This run looks so innocent. 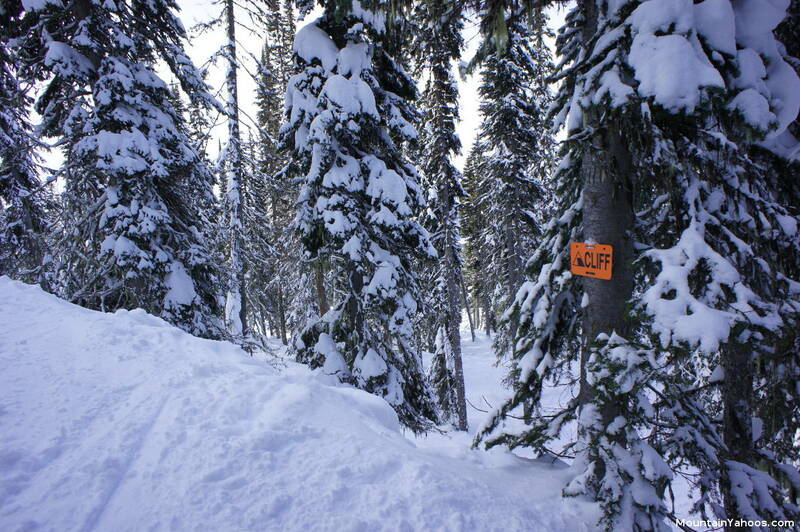 Beware that this run may lead you to "Beauty Glades" and a nasty double black tree run for an exit. Stay hard left to exit. 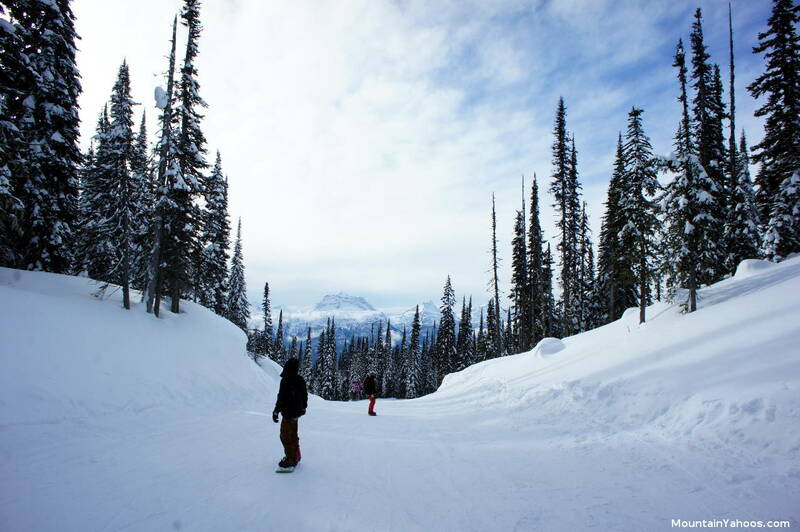 Revelstoke has 16 named gladed areas. You will find "Aspen Glades" and "Tasty Glades" to be more spacious and forgiving. 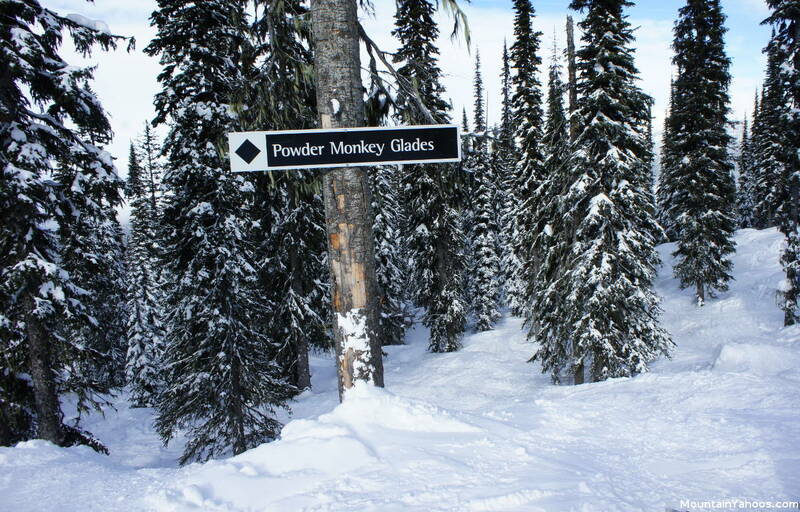 "Powder Monkey Glades" and "Clyde's Secret" are steeper. Many of the run-outs and returns of runs and bowls will lead you to a tree run as the only option. Only "Beauty Glades" featured surprisingly difficult forced options unless you consider hucking cliffs an option (some do and there are tracks to prove it). 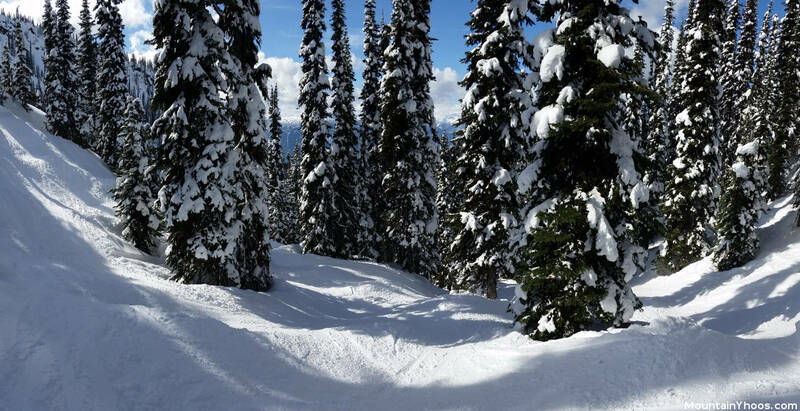 It is best that one be comfortable with tree runs if skiing Revelstoke. The tree spacing is generally generous. Our favorite are "Tally-Ho Glades" and "Stihl Life Glades" along side of "The Stoke" lift. 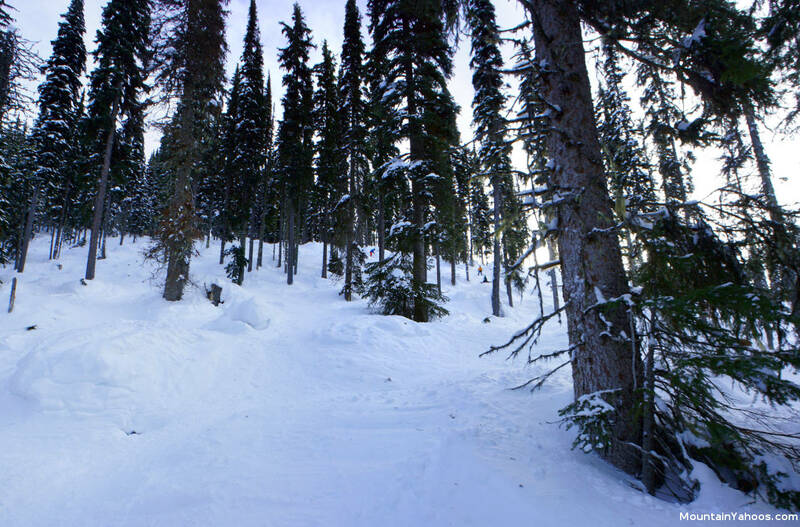 The mogul runs are most predominant on steep terrain and in trees where turns are forced. There did not seem to be a "signature" mogul run or any run dedicated to moguls. This resort has a low concentration of skiers and high annual snow falls which tend to keep the mogul growth in check. These runs are in-bounds and have an early closing time. Hike to the top from the top of the lift "The Stoke"
There is no out of bounds skiing. 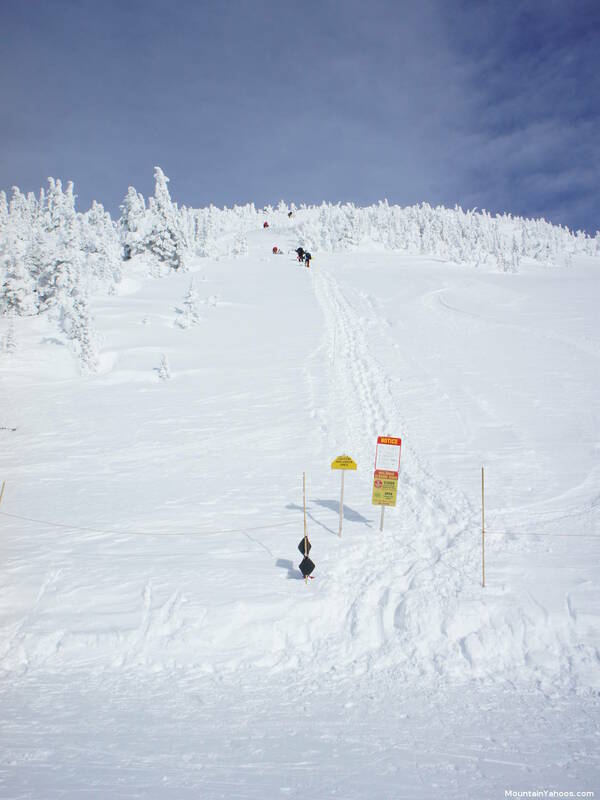 Anyone who finds themselves requiring assistance from Revelstoke Mountain Resort staff in closed or out of bounds areas will be assessed a $1000.00 minimum fee. Vast terrain with an infinite number of fall lines. Even a day after a powder dump you can still have fresh tracks. Scenic, beautiful and fun to explore. Many unique paths to try out. 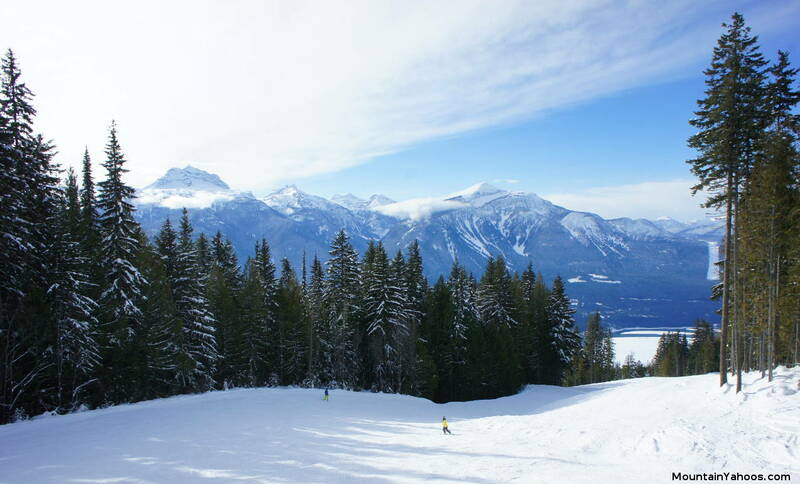 Local town of Revelstoke and mountain base can adequately provide your accommodation and amenities. 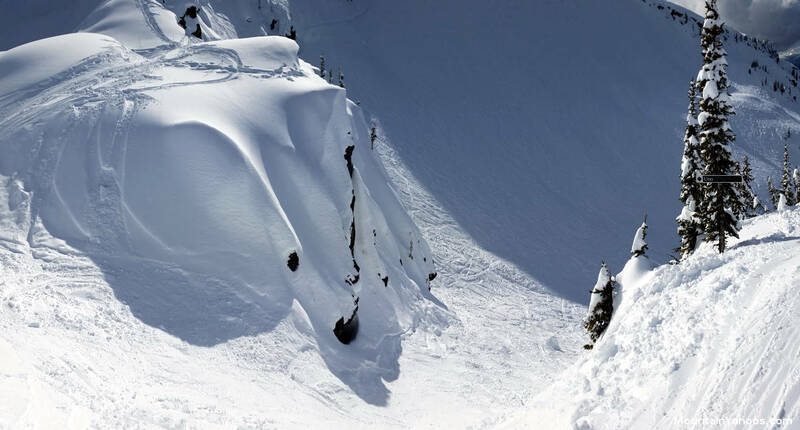 Many cliffs and sudden drop-offs in the upper North Bowl area are not marked. Poor return trail marking from Greely Bowl back to the front-side. Its marked with a small hand made sign nailed to a tree but its not marked very well. Alternate returns through the "Beauty Glades" are gnarly and laced with cliffs. Proximity to an international airport. Calgary and Vancouver International Airports are far away. 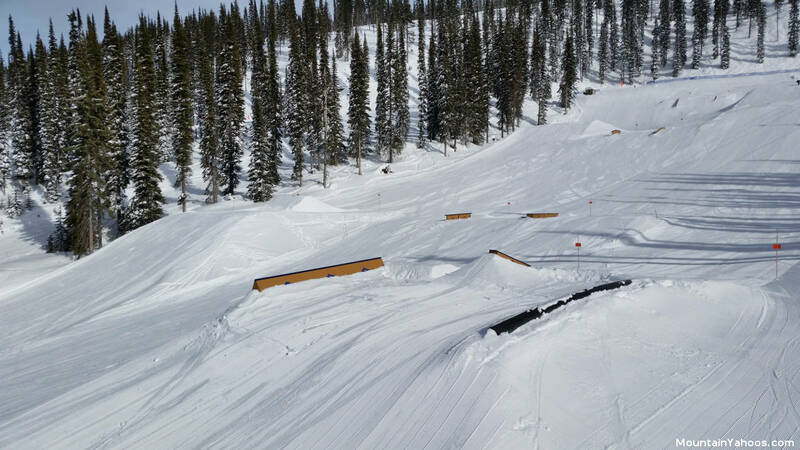 There is only one terrain park on the run "Critical Path", accessible from "The Stoke" lift. With so many natural features and jumps on the mountain itself, there really is no need for the man made variety, but it is available. 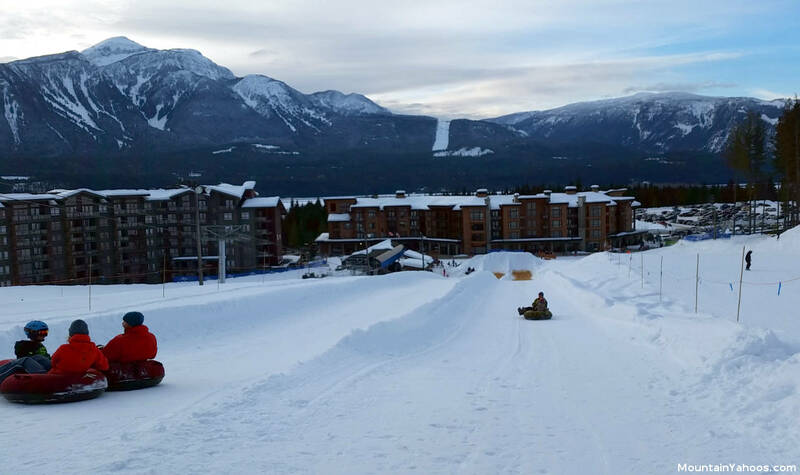 The base of Revelstoke Mountain Resort has tubing for those not riding the mountain. Tubing is serviced by an easy to use Magic Carpet lift. The facilities at the base of the mountain can take care of basic skiing and snowboarding needs. Equipment sports shops, rentals, ski instruction, a restaurant and cafe can be found in the mountain base village. 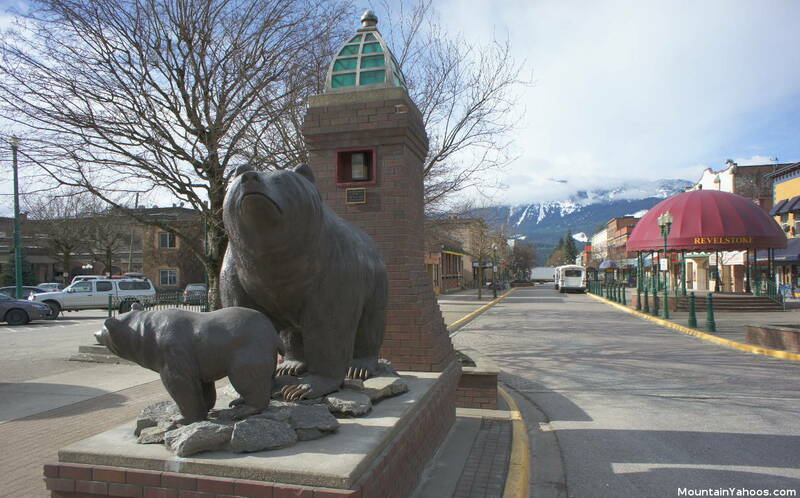 The town of Revelstoke can of course offer you more lodging, dining and other service options. 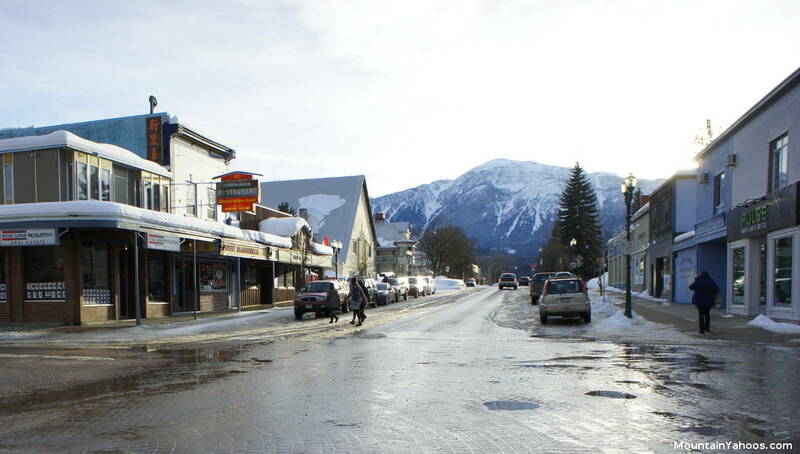 Revelstoke still has the ambiance of the mountain mining town from which it has evolved.